As WIPE was complete, here is a download link of the main world of the old map right before WIPE. DOWNLOAD Link will work for 14 days starting now. 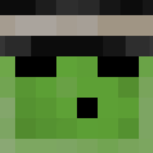 Hello, I really want to join the server, but I need some mods to join, I can't find a modpack on the internet. Can someone help me? [Guide] How To Install Optifine For Tekkit!